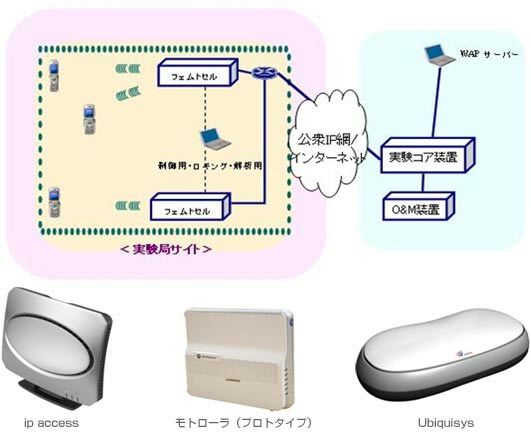 SoftBank, Japan’s leading telecommunications and media corporation has announced of the license granted by Ministry of Internal Affairs and Telecommunications to demonstrate the femtocell trial run in Japan. This effort is being carried out with the involvement of key players in Fixed Mobile Convergence (FMC) market such as Motorola, Alcatel Lucent, Samsung, Ericsson Japan Ubiquisys and etc. This has marked a new milestone in the development of this technology. Femtocell, also known as Access Point Base Station is being deployed in hot spots and in home to extend the capability of 3G access using existing home broadband service. By having this new technology in place, users will be able to enjoy seamless connectivity of voice and data transmission from service provider even in the home environment. The demonstration will conduct several major activities such as interoperability test with voice, data (HSDPA) and video call communications, stability of broadband access and radio interference and propagation factors of femtocell using experimental 3G cell phones. It will be commenced from June till end of 2007 in Tokyo and few other locations in Japan. With the huge interest expressed by world-wide service provider, it is expected that the full commercial deployment will be available in early of 2008. It is also believed that femtocell users will exceed 152 million subscribers by 2012.